Gianna Beretta Molla made a heroic choice, but it was something her family members and friends testified she prepared for every day of her life. Her heroic virtue, genuine holiness of life, selflessness, and quiet joy remind all of us that God entrusts us with a personal vocation. Each and every day presents us with choices that have the power to prepare us to take heroic action whenever it will be called for. We can do that, however, only if we surrender ourselves and what we desire to God and His will for us.
" Dr. Molla threw light on the importance of the Christian family, by her life and conscious sacrifice. She threw light on the importance of Christian schools and Catholic Action, in the formation of the human being in Christian values and it gives us guiding principles, to which the Christian subordinates his own life, as Dr. Beretta Molla knowingly did. The heroism of her Christian life will bear fruit." This example of lay sanctity, lived in the Sacrament of Matrimony, as the Vatican Council II teaches, will encourage many Christians to seek God in holy Matrimony. 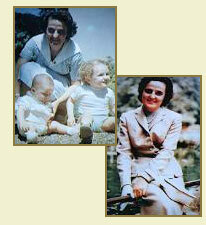 The exemplary fame of Christian conduct, lived by Gianna Beretta Molla is valid proof.